Degree in 3: Accelerate your degree. UMSL's Degree in 3 options provide an accelerated degree path for highly motivated students in select academic programs. Enjoy the experience of a traditional, four-year degree with the benefits of a three-year fast track to life after graduation. 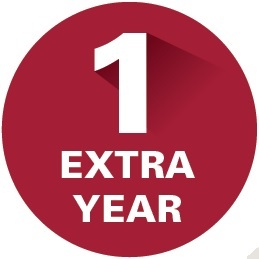 The cost of just one extra year at any university can really cost you over a lifetime. in lost wages, benefits and retirement contributions over the course of a lifetime according to Complete College America. Why? Because you're not yet in the workforce. 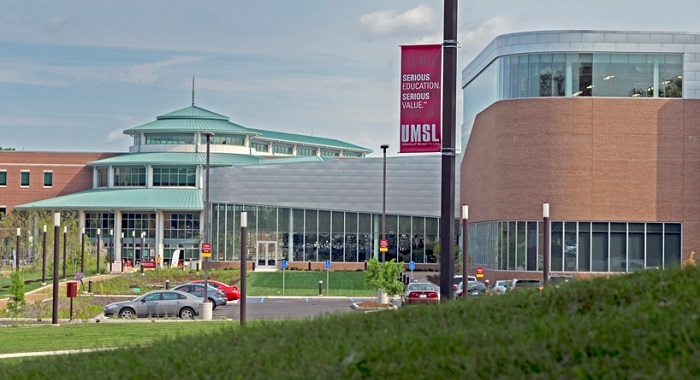 UMSL's Degree in 3 gets you into the workforce faster, setting you up for saving, not spending. than you think. Complete your undergraduate degree in just three years in a well-paced, accelerated format. than you think. Whether you live in UMSL’s suite-style residence halls or commute to campus, you’ll find all the makings of a traditional college experience right here in St. Louis. Sports teams. Recreation opportunities. Greek life. Homecoming and Mirth Week. It’s all available at UMSL. than you think. UMSL offers one of the lowest tuition rates in the St. Louis region, and the accelerated path makes it even more affordable. Think about pairing savings with the advantages and prestige of a degree from a four-year research university. than you think. Take courses year-round or in a traditional, two-semester-per-year format. Online, blended and eight-week formats are also available. than you think. Ever notice all of those UMSL stickers on cars around the city? UMSL has the largest alumni network in St. Louis. Over 70,000 strong. The possibilities for networking and career opportunities are endless. The Advanced Credit Program (ACP) at UMSL is a dual credit program that offers qualifying, high-caliber high school students in select schools the opportunity to earn college credits and become familiar with the college experience while still in a high school setting. Degree in 3 is a perfect fit for students who have earned early college credits and want to seamlessly apply those credits toward a four-year degree at UMSL. Contact us to learn more about Degree in 3 programs at 314-516-7005 or degreein3@umsl.edu. UMSL is committed to student success through financial aid packages that may include need-based, merit and housing scholarships. Multiple scholarship opportunities are available specifically for first-time students who live on campus. UMSL is one of the most culturally and ethnically diverse campuses in Missouri, enrolling 17,000 students from 49 states and 78 countries. We deliver exceptional educational, research and engagement experiences that inform, prepare, challenge and inspire. Our campus is full of beautiful green space, including bike trails and walking paths, and two on-campus MetroLink stations mean you’re always connected to everything St. Louis has to offer. At UMSL, we are as committed to you reaching your graduation day as you are. Set yourself up for success through an accelerated pathway, academic supports, internships and a well-connected professional network. The Honors College at UMSL is an enclave for high-achieving students looking for a supportive atmosphere, both academically and socially. It’s a learning community that is a perfect fit for Degree in 3 students. Dedicated advising, distinct undergraduate research and internship experiences, independent study projects, and a 13:1 student-to-faculty ratio means success in the classroom and beyond. 1 University Blvd., 304 JC Penney Bldg.